This is a collection of all three books in the Jewel Trilogy: Sapphire Ice, Emerald Fire, and (best selling) Topaz Heat! It is priced at $9.99, which is a savings of about $2 if you were to purchase each book separately. f you read and enjoyed The Jewel Trilogy, in whole or in part, please consider leaving a review wherever you purchased it or at Goodreads. Reviews help people find the books. This entry was posted in 6. The Jewel Trilogy Anthology, Novels and tagged 1. Sapphire Ice, 3. Emerald Fire, 4. Topaz Heat, 6. 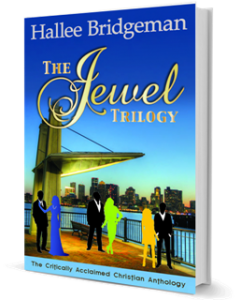 The Jewel Trilogy Anthology, novels, the jewel trilogy. Bookmark the permalink.